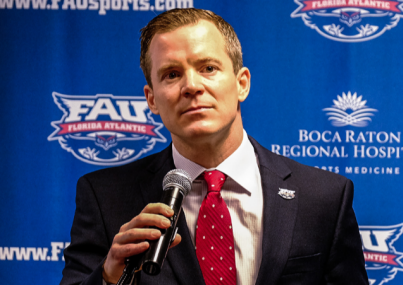 FAU Men's Basketball held their 2018-19 media day today. Below are some notable highlights of what Head Coach Dusty May, Junior forward Jailyn Ingram, Graduate forward Xavian Stapleton had to say. "It’s our 10th practice, so we’re still learning a lot about our team. Overall, very, very impressed with our intensity, our enthusiasm, our camaderie, our leadership by the older guys, it’s such a unique situation where we have so many new faces. Even with the guys that have played college basketball before, they’re in such new roles." “It helps my game a lot. I played that way in high school, we played very fast, so it’s good to get back to playing that way.